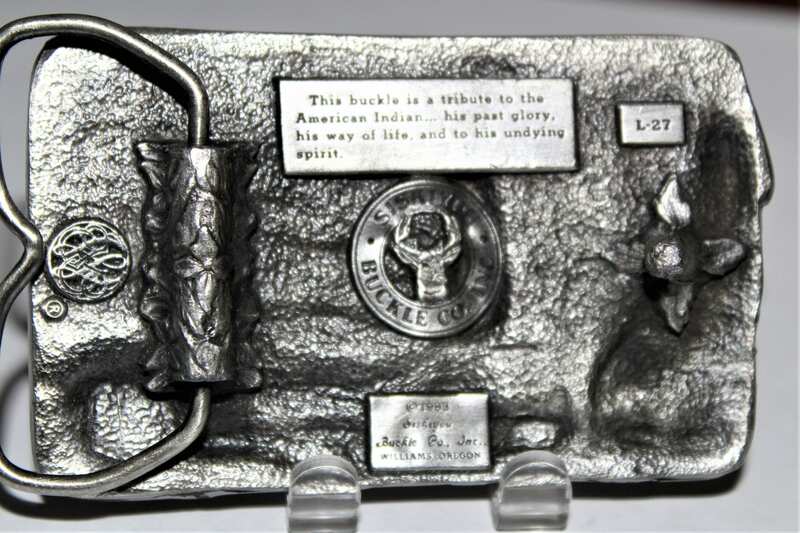 We have for sale a Vintage 1983 Siskiyou Belt Buckle with A Tribute to the American Indian. 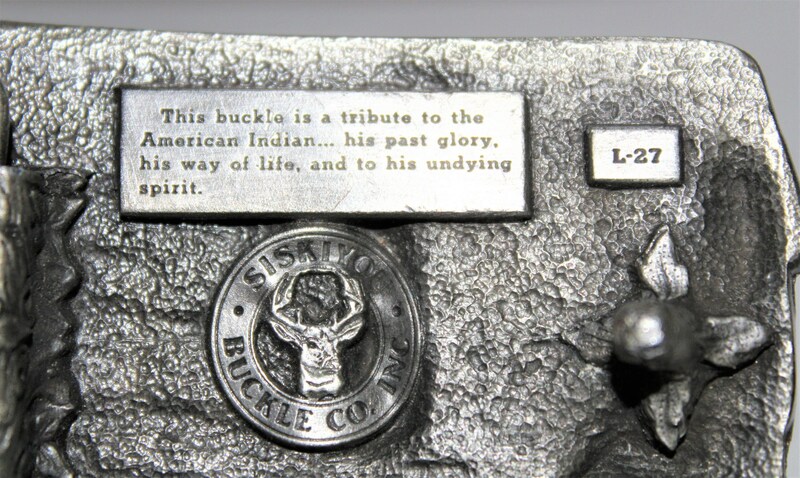 This buckle is a tribute to the American Indian…his past glory, his way of life, and to his undying spirit. 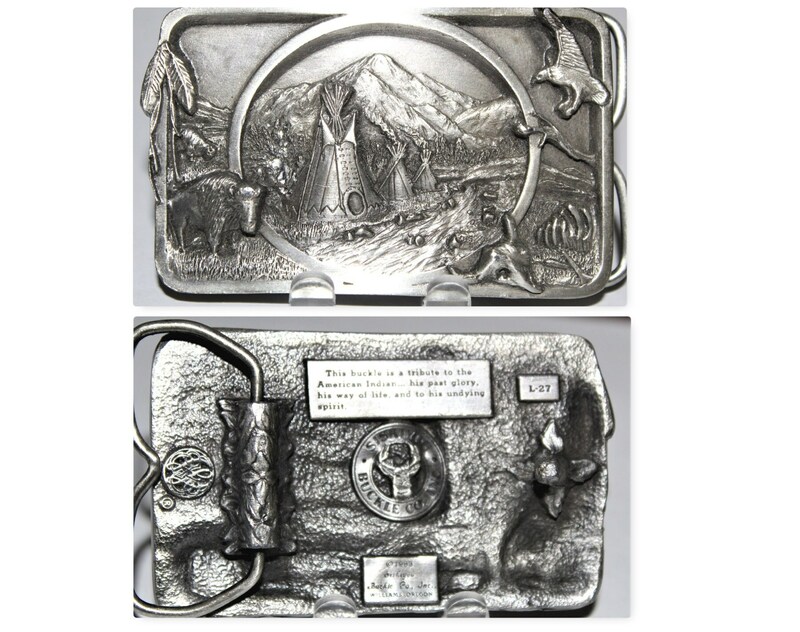 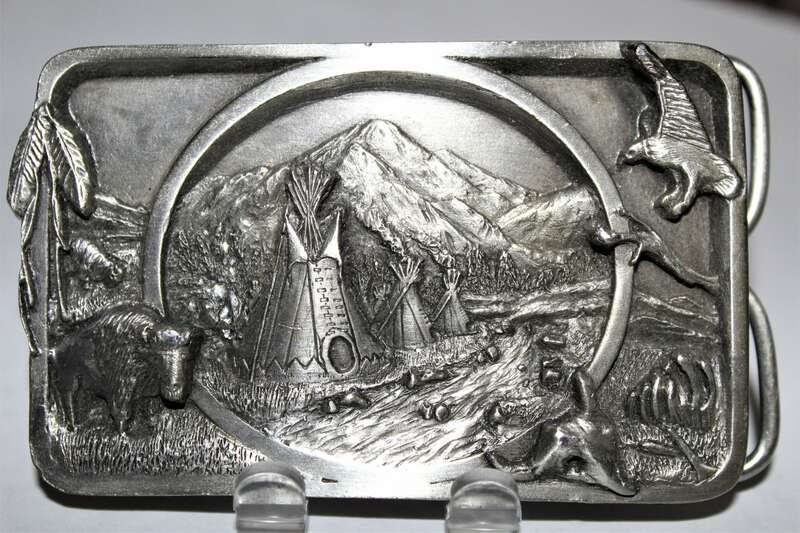 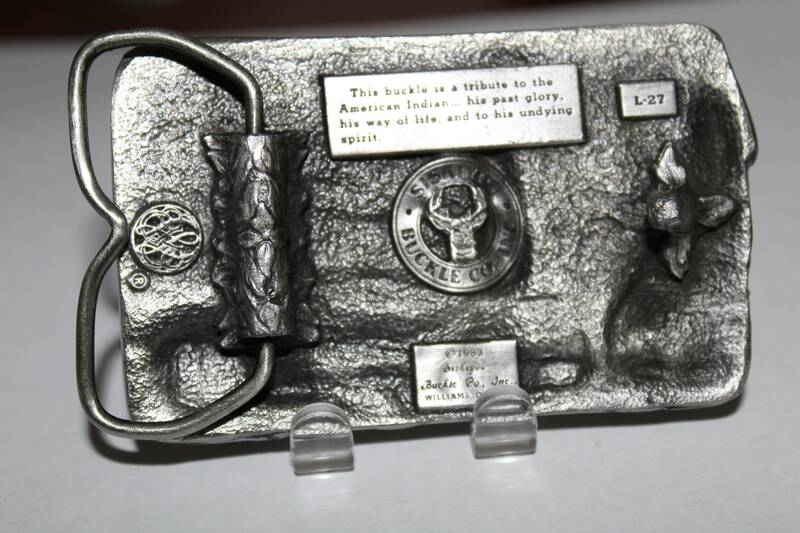 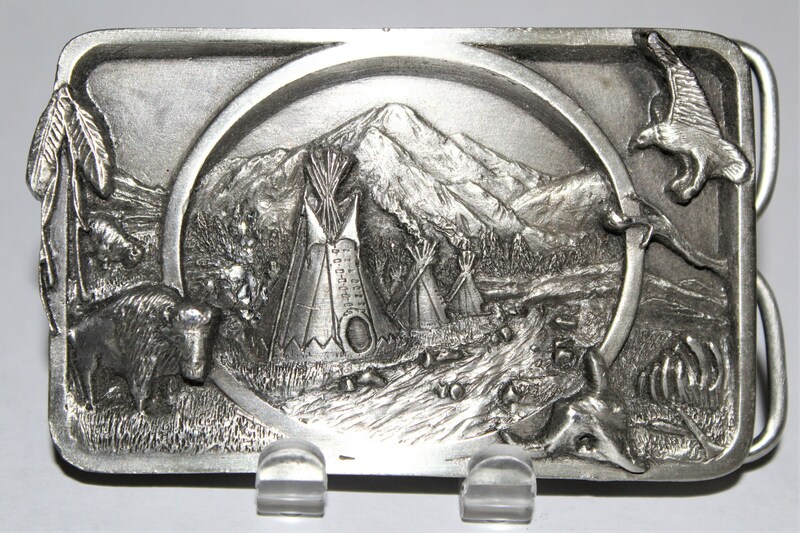 Siskiyou Belt Buckle are a highly collectible buckle made of solid pewter in a 3D view. 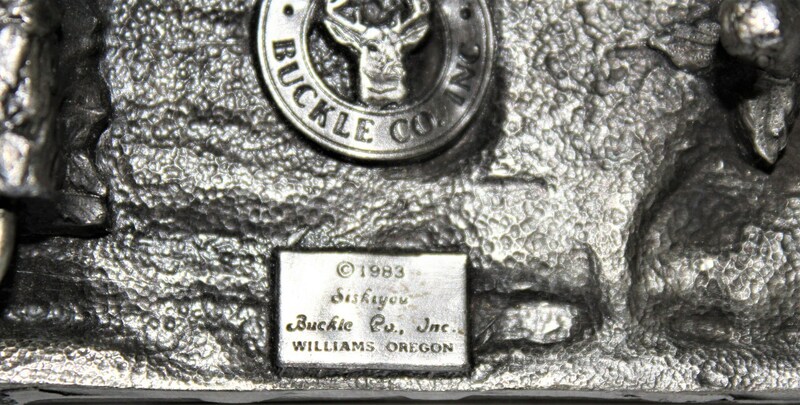 All their buckles are made in the USA. 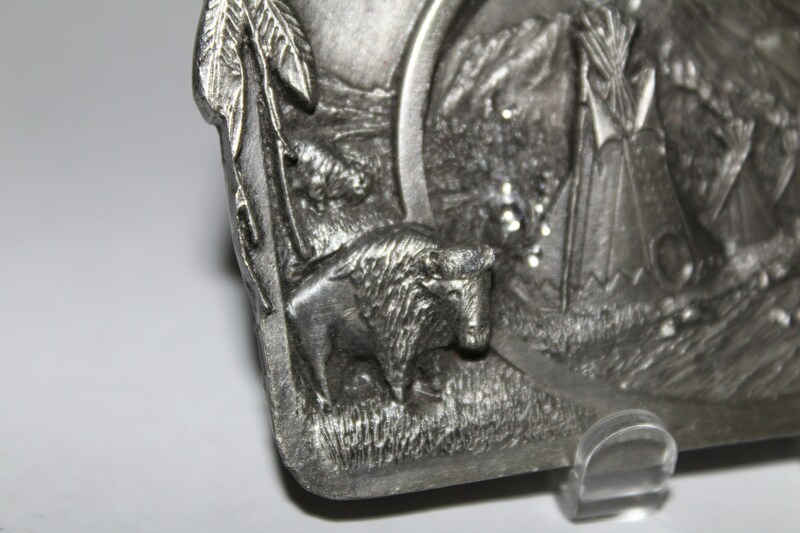 To see more of our wonderful Antique and Vintage Men's Fashion & Jewelry items click the link below to go to our Etsy store.